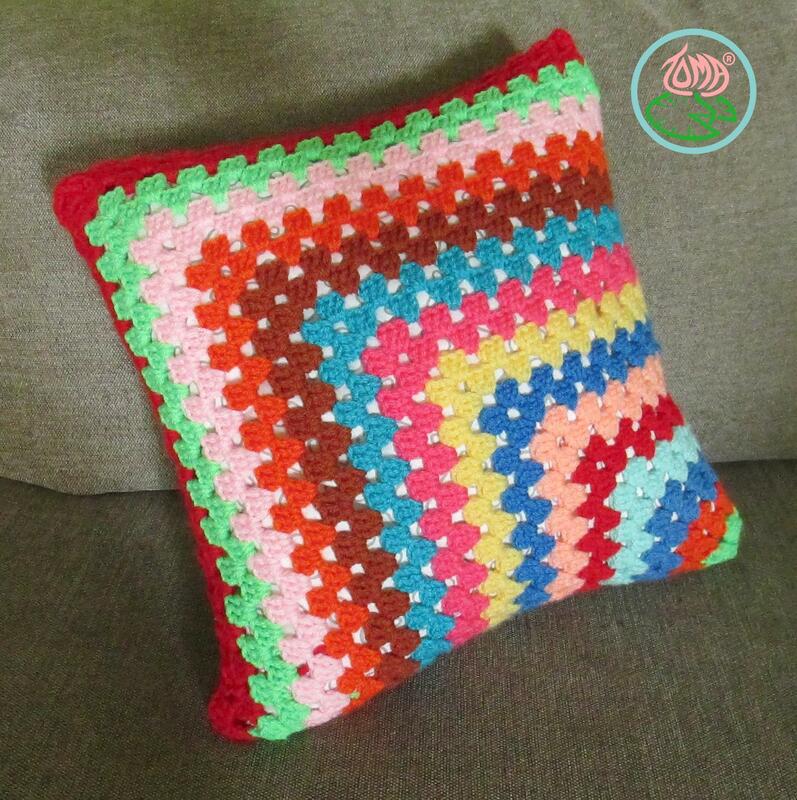 Finished Size: approximately 36× 36cm (14×14in) but can be smaller or larger depending on the chosen pillow size. All instructions and abbreviations are given in American (US) terms. Work without turning unless otherwise specified in the pattern. Rnd 1: into adjustable ring, ch3, 2dc, ch3, 3dc, ch1, 3dc, ch3, 3dc, ch1, slst on top of the 3rd ch made at the beginning. Rnd 2: slst into next 2 dc of previous Rnd, (slst, ch3, 2dc, ch3, 3dc) into 3ch-space, ch1, 3dc into next 1ch-space, ch1, (3dc, ch3, 3dc) into 3ch-space, ch1, 3dc into next 1ch-space, ch1, slst on top of the 3rd ch made at the beginning. Fasten off secure and hide the tail. 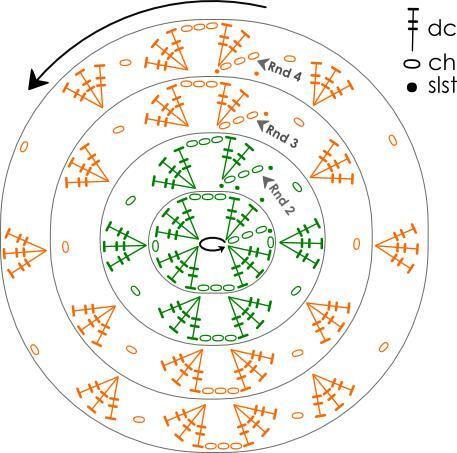 Rnd 3: introduce new colour yarn into 3ch-space of the previous Rnd, (ch3, 2dc, ch3, 3dc) into 3ch-space, ch1, (3dc into next 1ch-space, ch1) × 2, (3dc, ch3, 3dc) into 3ch space, (ch1, 3dc into next 1ch-space, ch1) × 2, slst on top of the 3rd ch made at the beginning. Rnd 4: slst into next 2 dc of previous Rnd, (slst, ch3, 2dc, ch3, 3dc) into 3ch-space, ch1, (3dc into next 1ch-space, ch1) × 3, (3dc, ch3, 3dc) into 3ch space, ch1, (3dc into next 1ch-space, ch1) × 3, slst on top of the 3rd ch made at the beginning. Fasten off secure and hide the tail. Rnd 5-29: worked in the same manner as Rnds 3-4 i.e. (3dc, ch3, 3dc) into 3ch-space & 3dc into 1ch-space, all separated by 1ch in between; in addition change colour every two Rnds. Rnd 30 (Final round): slst into next 2 dc of previous Rnd, (slst, ch3, 2dc, ch3, 3dc) into 3ch-space, ch1, (3dc into next 1ch-space, ch1) × 14, 3dc into next 1ch-space, (here starts the connection by slsts into opposite side, refer to the below photo) slst into last 1ch-space made of the same Rnd, (3dc into next 1ch-space,slst into opposite side’s 1ch-space) × 14, (slst, ch3, 2dc, ch3, 3dc) into 3ch-space, ch1, (3dc into next 1ch-space, ch1) × 29, slst on top of the 3rd ch made at the beginning. 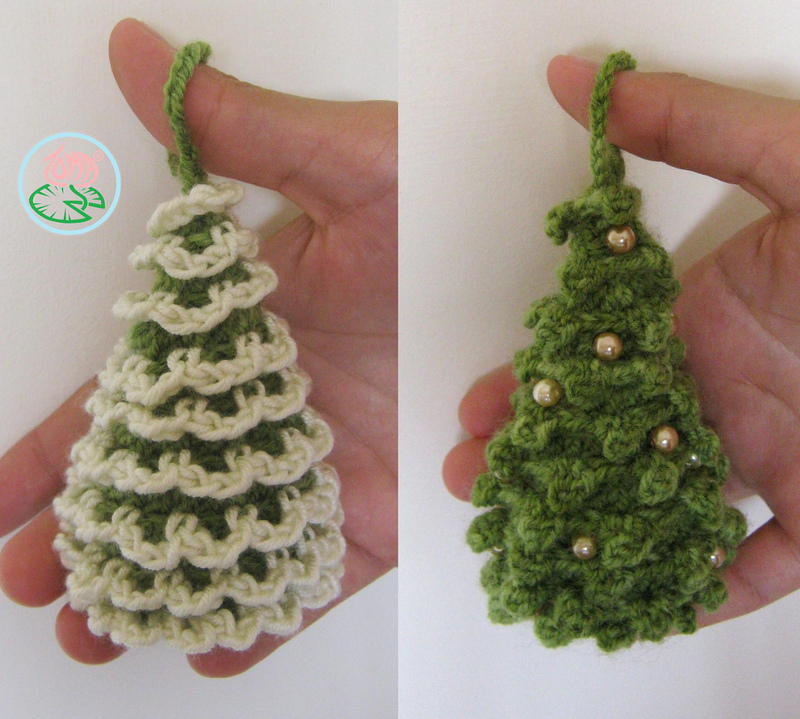 with the same yarn ch enough chains to make a cord of 40cm (16in) long, fasten off. 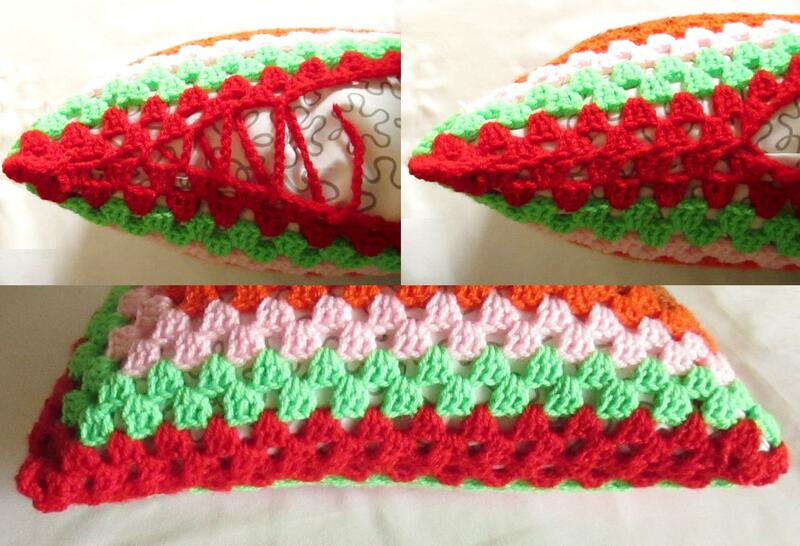 Connecting the open side with the crochet cord: Star passing the 40cm cord into each ch-space altering between opposite sides, similar to shoe lacing (refer to the below photos). Pull the cord so that each ch-space of each side is almost on top of the opposite side and hide the cord within the pillow. Note 1: You can switch colour on every Rnd, every 3 Rnds, etc. experiment and have fun 🙂 . 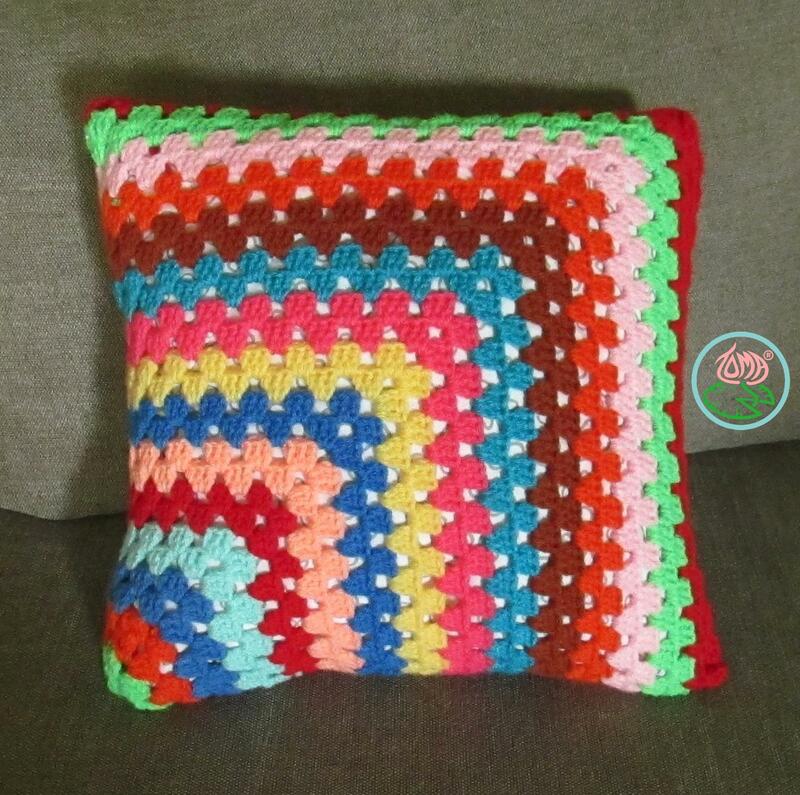 Note 2: You can crochet smaller pillow case by doing less Rnds or you can continue crocheting beyond Rnd 29 in the same manner as described in Rnd 5-29. 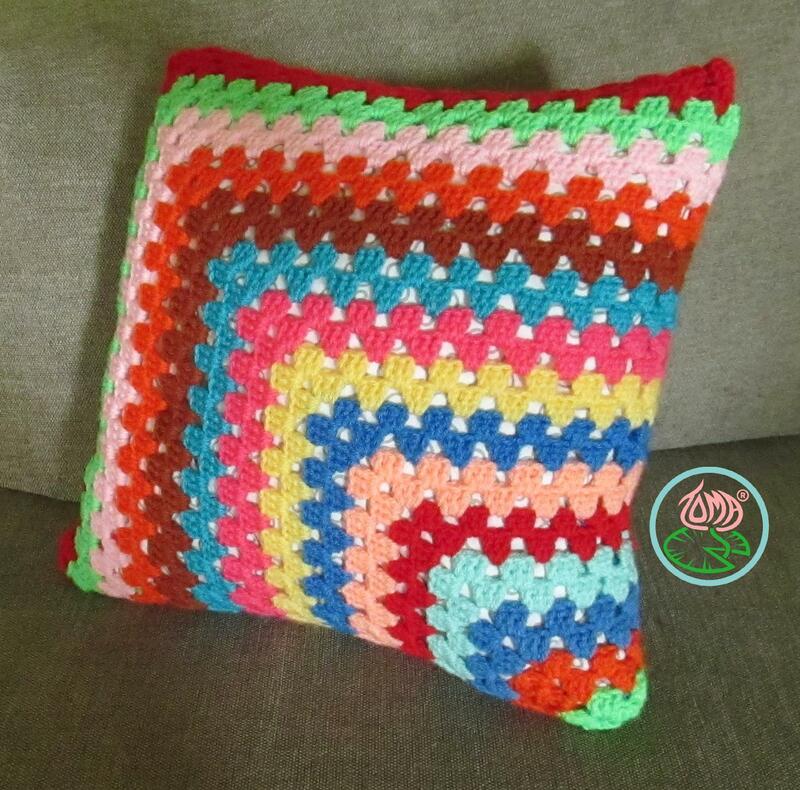 When you reach your ideal pillow size refer to the ‘Rnd 30 (Final round)’ on how to crochet the last round and for the connection of one side to the other using slsts; then move to ‘Connecting the open side with the crochet cord’ to finish off. PLEASE HAVE IN MIND: You may not copy, sell, translate, post on the internet or redistribute (fully or partially) this pattern. Reblogging or linking to this pattern is perfectly fine.